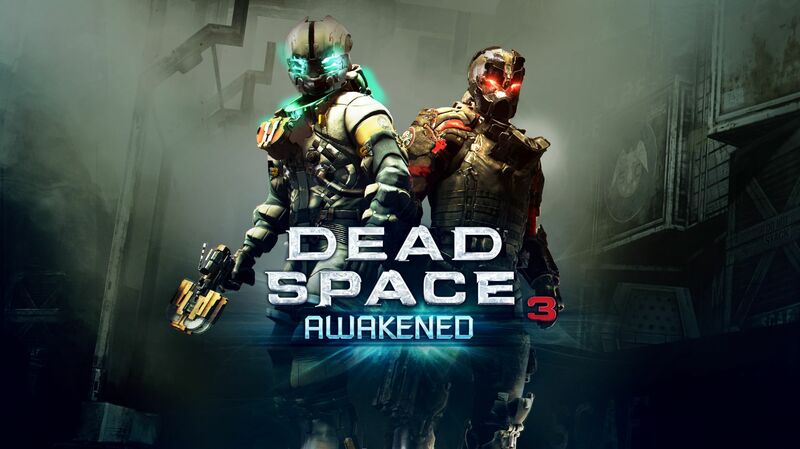 Dead Space 3 Awakened is an add-on DLC that takes place after the ending of the Dead Space 3 core game. Awakened can be played in the single-player and co-op modes as well as on any difficulty or specialty campaign (Pure Survival, Classic, etc.). It’s available on the Xbox 360, PlayStation 3, and the PC and costs $10 (800 MSP). Awakened starts off right where the core game left off, after the moon is pulled down on to the planet, Tau Volantis, in hopes of destroying the Marker signal for good. 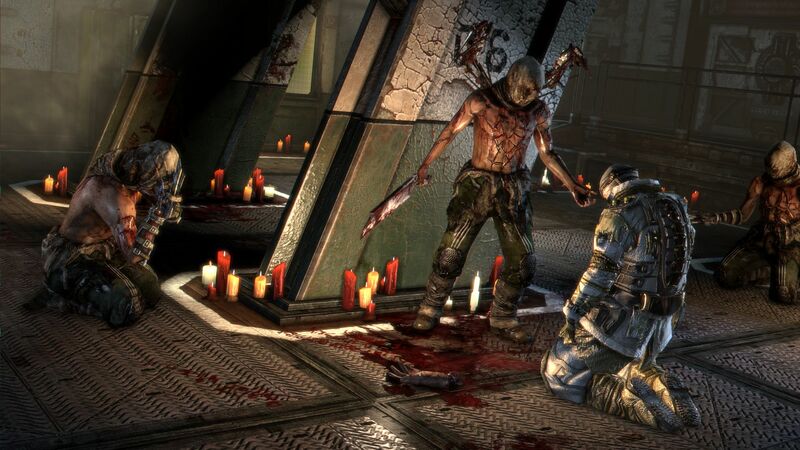 The ending of Dead Space 3 seems to insinuate that Isaac and Carver have died in the incident and Ellie leaves the system bound for Earth as the sole survivor. The beginning of Awakened shows Isaac waking up to an alarm clock in his apartment, something is not right as he heads into the bathroom only to see Carver’s reflection in the mirror. Carver asks why Isaac is in his apartment and it all becomes clear. They are awake and still on Tau Volantis. Not sure if they are alive or dead, they know that regardless of what is going on they need to find a way off the planet and make that their top priority. A quick scan around makes it obvious that the moon has already crashed into the planet, it seems that they have been stranded there, thought to be dead by Ellie and anyone else left on Tau Volantis. Isaac and Carver learn that their only way back how is the CMS Terra Nova, and it’s missing it’s Shockpoint drive. Faced with the task of restoring power and the Shockpoint drive to the Terra Nova, Isaac and Carver soon discover more than just technical problems aboard the ship. They find remnants of Unitologists aboard the ship that have created a new cult in hopes of following the path of the Nercromorphs. Calling themselves the Circle, they become new enemies for the duo to face – not quite human but not quite Necromophs. The Circle isn’t their only problem, Isaac slowly starts becoming insane, thinking that the Shockpoint drive needs to be destroyed or the brother moons will follow them back to Earth. Carver argues with him, trying to make him see reason, but fails. The men eventually hallucinate a fight between one another that leads into a battle with the leader of the Circle. After this encounter, Isaac comes to his senses and agrees with Carver to use the Shockpoint drive to get back to Earth. Upon arriving in Earth space Isaac attempts to make contact with the planet, only to get static in return. After a few more unsuccessful attempts, Isaac and Carver both look out the window of the ship to see that the brother moons have already arrived at Earth, as one appears directly in front of the ship the screen goes black. The gameplay of the Awakened DLC is the same as in the core game, no new features have been added. The scenery is sadly the same as well, with the bulk of the DLC taking place on the CMS Terra Nova which was previously explored in the core game’s campaign. There are new enemies, the Circle, as well as a new boss-like enemy. These new enemies are a bit different than the Necromorphs fought throughout the series, but still attack in the same way making them not feel so new. Basically, this DLC is an expansion on the ending of the core game that sets the scene for a possible Dead Space 4. It’s not a necessity to purchase and play this DLC, but if you’d like a little more closure I would definitely recommend it. I would say that it is very much worth the $10 it costs, and any fan of the series (or even just Dead Space 3) will really enjoy it for the story, if for nothing else. Previous Previous post: Guest Post – Awakening Players: How’d You Miss Out On Fire Emblem GBA?